JEE Advanced 2019 Application Form will be started on 03 May 2019. IIT Roorkee which is the organizing institute for the JEE Advanced 2019 has announced the date of examination as 27 May 2019. The seven Zonal Coordinating IIT’s under Joint Admission Board will conduct JEE Advanced Examination. Also, the applicants need to write JEE Main(Paper 1) Examination and obtain the cutoff marks in order to qualify for JEE Advanced Exam. Moreover, only JEE Main qualified candidate who ranks among the top 2,24,000 (including all categories) can fill the JEE Advanced 2019 Application Form online from 03 May 2019. Furthermore, from 2019, the JEE Advanced exam will be conducted online i.e. it is going to be a full fledged computer based test. The application form of JEE Advanced is available now. 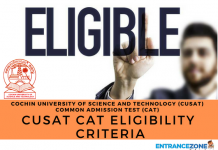 Read eligibility criteria before filling the form. Check your eligibility criteria as well as the Rank before applying to Jee Advanced Here. The syllabus for this exam will not be the same as JEE Main 2019. Some topics will be removed while some topics are added to the syllabus. It is very important for the student to go through it thoroughly in order to prepare. Last year, Exam conducting body introduced some new changes in the JEE Advanced examination. Candidates must observe them carefully. For JEE advanced, only top 2,24,000 lacs JEE Main qualified students (including all categories) will be eligible. Students who obtain the positive marks in JEE Main (Paper-1) are only eligible. How to fill the JEE Advanced Application Form Online? 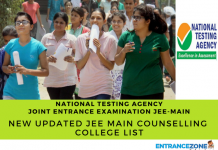 Firstly, the applicants are advised to read the information brochure carefully before filling the JEE Advanced 2019 Application form. They should ensure that they comply with each and every eligibility requirement. And, the candidates will have to register through the JEE (Advanced) official website from April to May 2019. The link to the website is given below. Also, the candidates can also register with late submission fee. Secondly, candidates will then have to upload the scanned copies of the required documents. Class 10th Certificate or birth certificate. And, Other categories will also have to submit their proof. 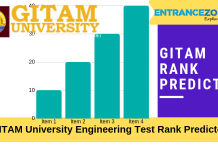 Furthermore, the candidates who have appeared in XIIth standard from outside India need to submit a certificate from the Association of Indian Universities stating that the exam is equivalent to the Class XIIth board. Finally, the applicants have to pay the registration fee as applicable. And, they can pay the fees using an online or offline method. Also, candidates should note that fee is non-refundable/ transferable. Important Note: Paper-1 Examination(in CBT mode) in various countries like Colombo, Kathmandu, Singapore, Bahrain, Dubai, Muscat, Riyadh and Sharjah will only be held on 2 April 2017. जेईई (एडीवी) 2019 विवरण पुस्तिका हिंदी में पढ़िए. Firstly, this examination is open to both Indian & abroad applicants. Also, the important dates and schedule will be declared by zonal IITs representatives officially in October 2017. But before that here is a tentative schedule to give an idea about the tentative dates for various events related to JEE Advanced 2019. First of all, It is mandatory for candidates to register for JEE Advanced 2019 to appear in the exam. And, If the applicant is unable to comply with any of the eligibility requirements, then the candidate may have to face rejection at any stage of the admission process. Also, after online registration and submission of application, applicants cannot cancel or ask for a refund. And the registration fee is nonrefundable. Finally, the visually impaired, dyslexic candidates can request the services of a scribe. And, They need to send a request to the Chairman, JEE (Advanced), along with the relevant certificate. 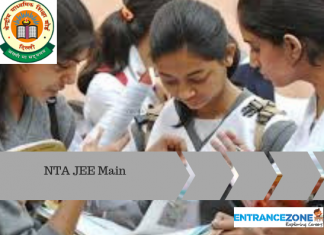 jee advanced 2019 application form date, jee advanced 2019 application form last date, jee advanced 2019 registration, jee advanced registration, jee advanced 2019 syllabus, jee advanced application form 2018, jee advanced 2018, jee mains 2019 application form. What books can be considered for this?